Although TVAddons is now back up with a new website, its add-on services are still a bit shaky. This has left many add-on users reeling and in search of a workable replacement. There are several other repositories that exist that equally house many of the add-ons users were turning to for content. These alternative sources include many that offer up a mixture of free and legitimate streaming, with the usual mixture of less-than-reputable add-ons available as well. It’s important for Kodi users to try to steer clear of add-ons that play host to unofficial streams. Additionally, in the wake of the recent add-on and repository shake up, we are now keeping a running list of Kodi add-ons and repositories as well as their working or non-working statuses. Click here to check out our complete list of working Kodi add-ons and repositories. Below, you’ll find the best Kodi add-on repositories that house most of the major legal and free add-ons that you’re looking for. We’d also like to stress the importance of using a virtual private network (VPN) whenever you use Kodi. There are three, solid reasons why you’ll want to turn to one for Kodi streaming: privacy, ISP monitoring, and geographic content blocking. A lot of internet service providers don’t like their users streaming video – a VPN stops them from detecting this and limiting your network speeds. As is the case with many ISPs, there isn’t any individual sitting and watching your data traffic — it’s all computerized. That code can’t determine what your data traffic is if it’s anonymized through a VPN, making it difficult for your ISP to throttle your speeds due to video streaming. Additionally, many content providers will try to block users outside of certain areas. You can stream great content through Kodi add-ons, but some add-ons may access content that is geographically locked. A VPN will let you connect to a server in that country where the content is streamed, giving you quick and easy access. Finally, Kodi add-ons are wonderful but sometimes unsafe. Even official add-ons from official sources can be hijacked and used to spy on Kodi users through man-in-the-middle attacks. Hackers can then see what you’re doing, steal your data, and even access your hard drive at times. Encrypting your connection through a VPN helps prevent them from seeing your data as it passes through Kodi. To help secure all of these areas, many Kodi users turn to IPVanish. The service has a strong reputation among the community for hiding users from unfair ISP practices, getting past content blocks, and protecting user data when streaming through Kodi. Exclusive reader discount: Save 60% on an IPVanish annual plan here or 25% on the monthly deal. 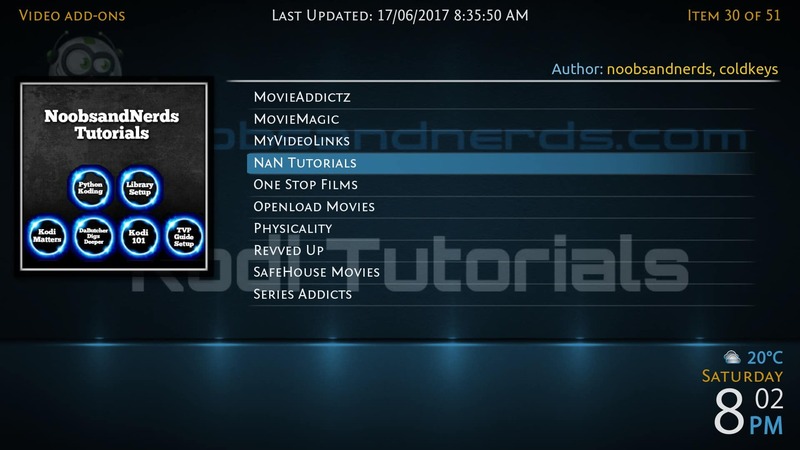 Those looking to find free and legal content should look no further than the official Kodi add-on repository. The official add-on repo is the only one that comes included with a fresh install of Kodi, although none of the add-ons therein are installed automatically. Users must still go through and find add-ons to install and test out. What many users may not realize, however, is that there are a large number of high-quality, first-party add-ons available only through the official repository. 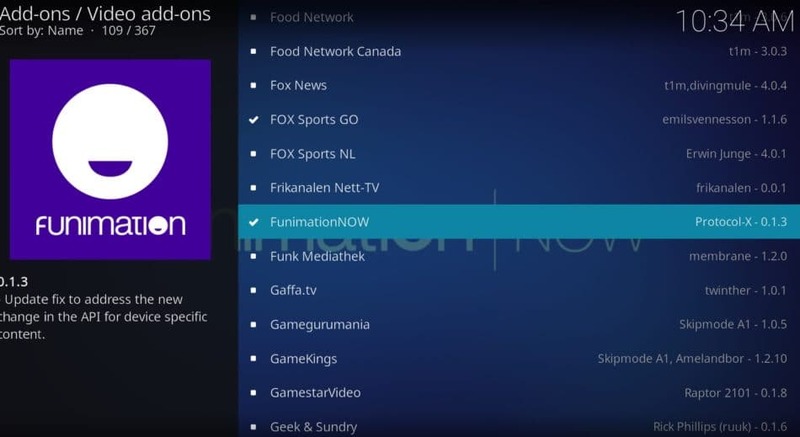 This includes the well-developed add-ons for Funimation and Crunchyroll, as well as add-ons that pull legally available content from other sources. Great options here also include add-ons for Fox Sports Go, the BBC iPlayer (UK residents with a TV License only), MLB.tv, PBS Kids, and more. There are over 350 addons to try out in the official repository. SuperRepo is one of the largest repositories out there. It features hundreds of video add-ons, a good selection of music and even skins for Kodi itself. Helpfully, it separates its collection of third-party add-ons from the official SuperRepo ones so you can easily tell which have ongoing support. You can always view every add-on of a particular type if you like, but there are so many that it can be hard to tell which are worth getting. Users will find some popular, free and legal choices in SuperRepo, including FilmOn, which offers legal streaming options, as well as the USTVNow addon and several YouTube add-ons. There are a number of piracy-related add-ons here, however, so users trying out different add-ons looking for free and legal content will need to be careful when testing out potential streaming options. We do not recommend using SuperRepo to access unofficial add-ons. You can find many, useful first party and legal add-ons available in SuperRepo. Ares has a far more limited offering than SuperRepo but there’s still a good amount of content on it. Video content is grouped into several different add-ons by genre and you’ll need to install the Ares Indexer add-on to search for a specific title – it’s more for those times when you aren’t sure what you’d like to watch. On the plus side, it has everything from Kung Fu to cookery, so you should be able to find something you like. Ares has a lot of self-branded add-ons, but also includes some interesting legal options, such as an addon specifically designed for streaming YouTube gamers and an add-on for Autism help and support. Some official and legal add-ons are available in Ares. However, we do not recommend most of third-party add-ons in Ares Wizard. Users should use caution and research any add-on before downloading. This repository is mainly focused on movies and cartoons which makes it a fantastic choice if you need a way to keep the kids occupied. 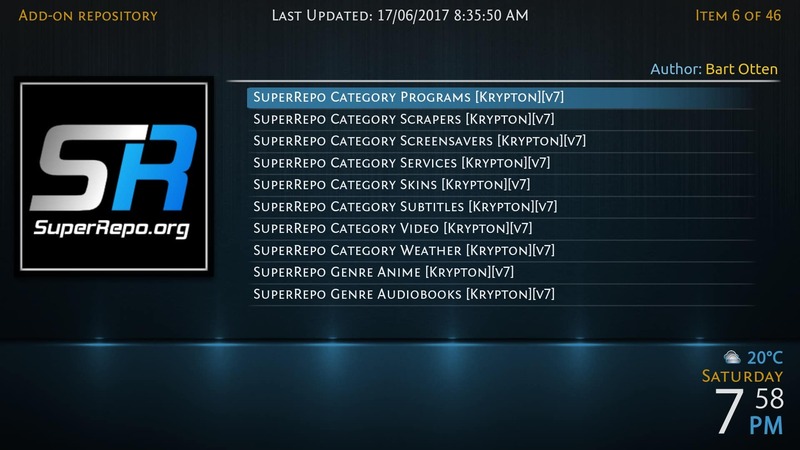 It only has a handful of audio and program add-ons, so if that’s what you’re after, you’d be better served by SuperRepo, but the add-ons it does have cover a fairly wide range of movie genres and time periods. 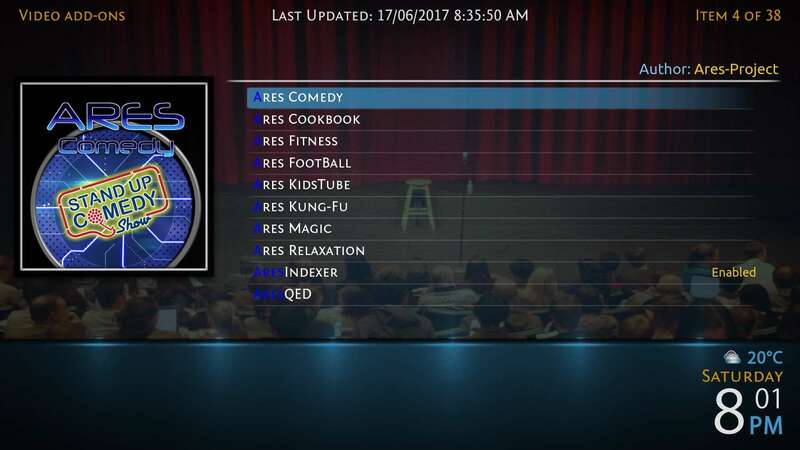 This repo includes the popular Metalliq add-on which helps Kodi users better organize their content and watchlists, as well as an addon that directly streams available content from the Buzz Funny Videos website. TvAddons.ag’s current outage isn’t the end of the world. There are still plenty of repositories which can help you scratch your streaming itch, it just takes a bit of hunting to find them. Hopefully TvAddons are just performing updates or maintenance, but even if they don’t return, the repos above should keep you occupied for quite some time. If you know of a hidden gem repository, leave a comment below and let the world know! See also: The best Kodi add-ons for movies. Simply Can is up on 7.30.17. Dunno if that means it’s not evil. Noticed premium IPTV add-ons, scams ? Well cant download anything ourof super repo as well. Always showing failed to instal dependancies. Anything wrong with what im doing? We can confirm that Super Repo is still working. If you open up your log and scroll down to the bottom, it should tell you which dependency it failed to install – once you know its name, you may be able to find an alternative source for it.